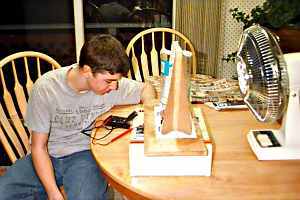 When the boys told me they were building a "wind generator" for a science project, I thought they were crazy. We have enough wind around here as it is. Okay, now I see what they were up to. Still, with all that wind, you think they need the fan?